Los Angeles mural artist Judith Baca was named Tuesday as the first muralist to win a grant from United States Artists since the nonprofit group began giving the $50,000 awards in 2006. 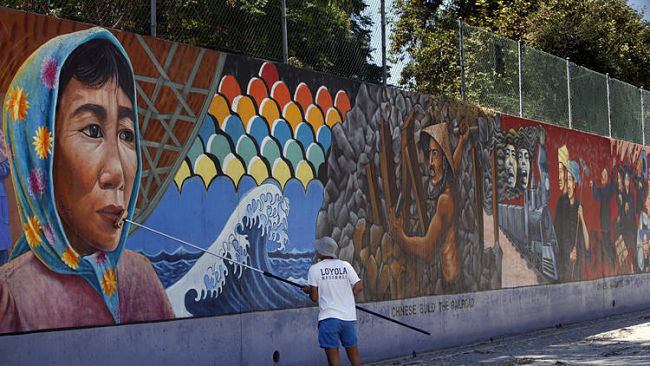 Baca’s works include "The Great Wall of Los Angeles," which stretches more than half a mile along Tujunga Wash, a concrete-walled flood control channel in the San Fernando Valley. She finished it in 1981, having led a team of about 400 people to create it. Judith Baca is one of the winners of this year's $50,000 United States Artists awards. The Los Angeles artist is the first muralist to win one of the awards since the program's start in 2006. Baca emerged as a public artist in 1974, working under a city-funded murals project; when that was discontinued, she helped to launch the private, nonprofit group Social and Public Art Resource Center (better known as SPARC), which continues to create and restore murals and advocate for their preservation. 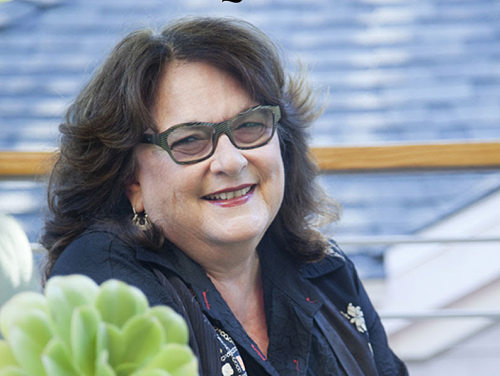 She is SPARC’s artistic director as well as a professor in UCLA’s department of Chicana and Chicano Studies. Baca was the only Southern California winner this year among 36 United States Artists prize recipients in the nine categories: architecture and design, crafts, dance, literature, media, music, theater and performance, visual arts and traditional arts. Grants totaled $1.8 million and can be used in any way.